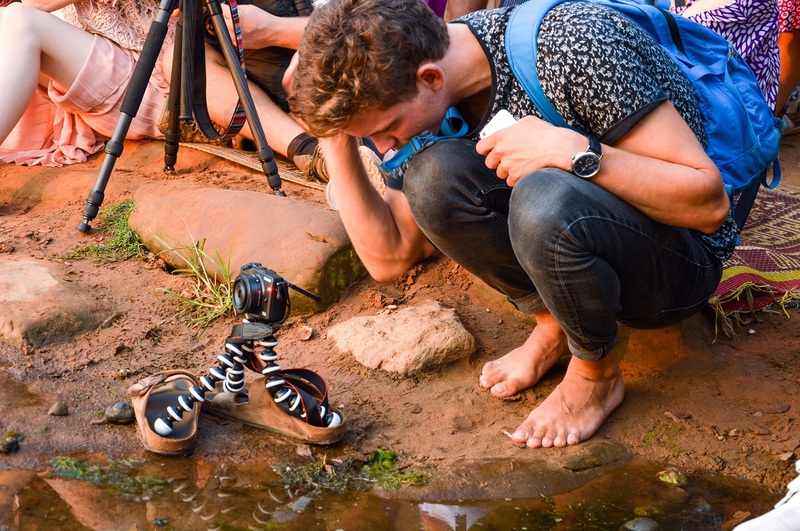 Even before you visit Angkor Wat, you’ve probably seen so many photos and videos from the ruins in Cambodia that you feel like you already know them. 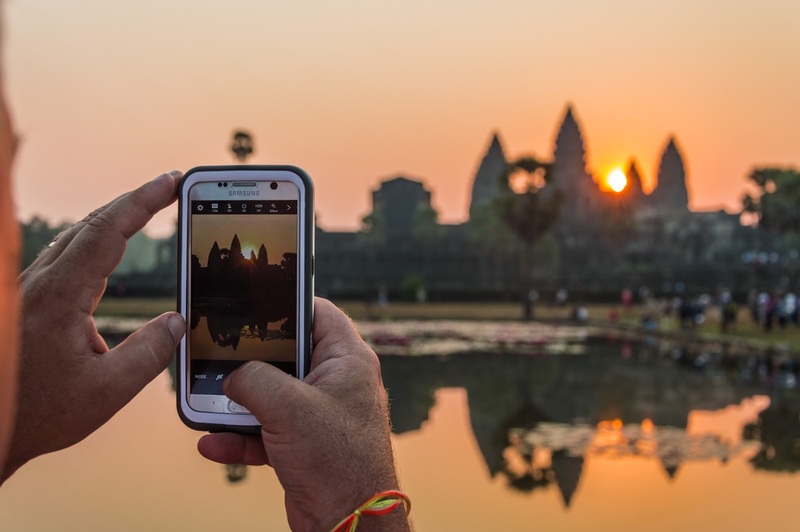 The sunrise at Angkor Wat is something many tourists dream about exactly because of all these beautiful images, while the sunset is gaining popularity too (even though it’s not as spectacular). 1. The sun shows up right behind the ruins of Angkor Wat and the sight is magical. 2. Waking up early will give you more time to explore the ruins before the heat sets in. But that’s what we do for art! If you don’t like crowds, you might feel overwhelmed. But that’s the overall vibe of Angkor Wat, so it won’t surprise you so much after a few hours. 2. Balloon flight – flying over the temples at sunrise is definitely the most spectacular way to feel the magic, but I have some ethical qualms about it. When we were in Siem Reap (spring 2017), we found only one company offering flights and they all ended with throwing candy to kids in a nearby village. I found this practice humiliating for the locals and skipped the balloon flight (that’s a personal opinion: if you are okay with it, go ahead!). 1. 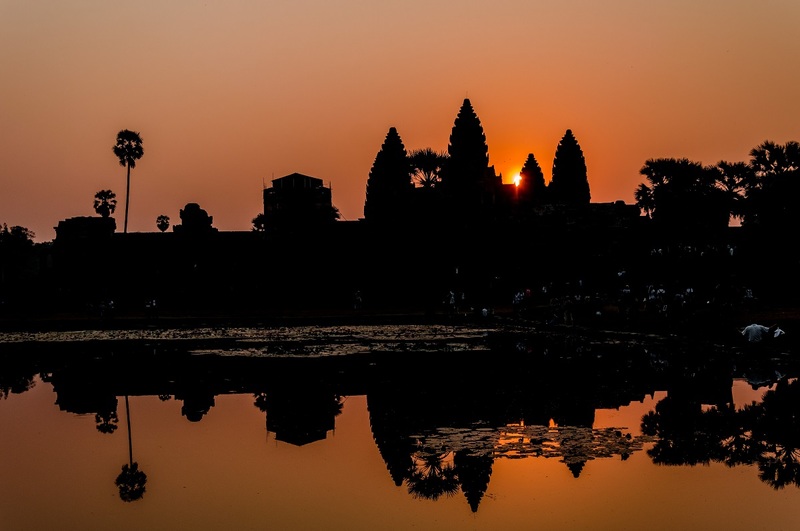 To get to Angkor Wat for the sunrise, you can get a tuk-tuk or rent a bicycle or a motorbike. The price for a sunrise tuk-tuk tour (and then a whole day around the temples) is more or less the same all over Siem Reap ($20 per person) and there’s not much space to haggle. Renting a bike will cost you around $2 a day, and scooters can be as cheap as $7 a day. 2. Arrive long before sunrise (at least 40 minutes) to find a good viewing spot and to witness the amazing play of light in the sky behind the temple before the sun peeks above the horizon. 3. If it’s your first day at Angkor Wat, don’t forget that you have to go to the ticket office and buy a ticket to gain access to the temples. The ticket office has been moved to a new location, 10 km away from the official entrance of the temple area. 1. Fewer people make a special effort to visit Angkor Wat for the sunset, so it’s much less crowded. 2. The sun sets facing the facade of Angkor Wat and there is a special magic here. With the last minutes of daylight you will see the walls changing color several times – from orange to pinkish and then brown. 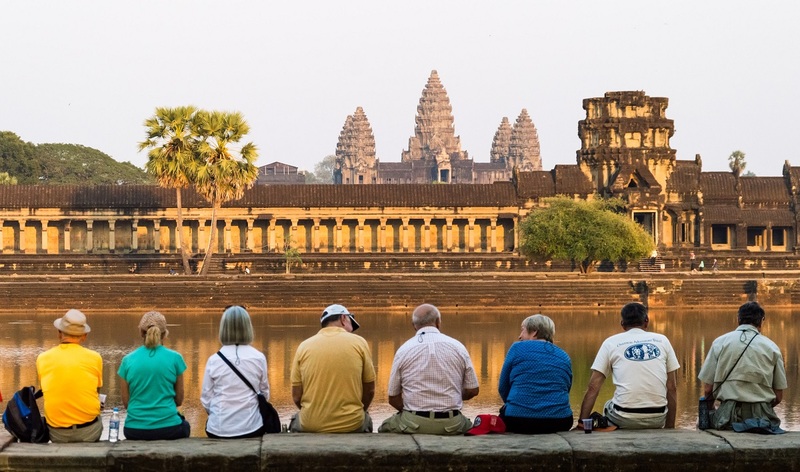 It’s the perfect way to end the day at Angkor Wat. 1. It’s not as spectacular as the sunrise. 1. 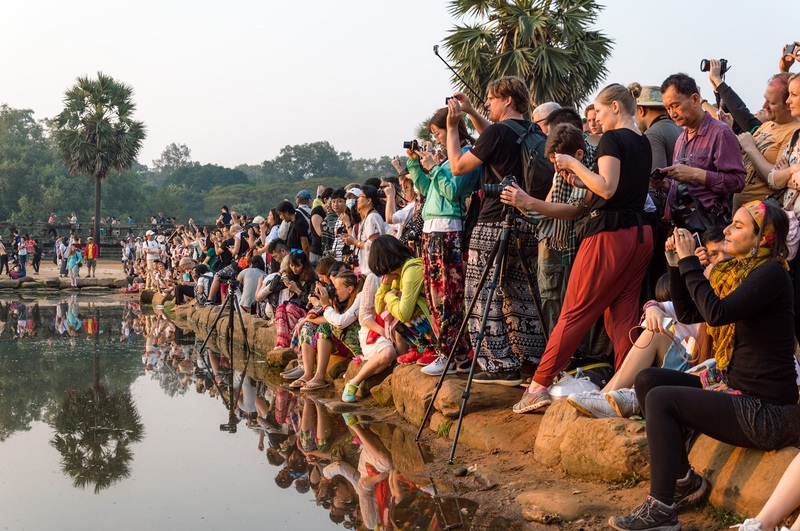 The Angkor complex closes at sunset, so make sure you are there early enough to find a good spot and take photos. As soon as the sun gets below the horizon, you will be asked to leave the temple. 2. If there are clouds in the sky, you should definitely go for the sunset as it’s even more beautiful. The verdict: craft your route so that you can see both sunrise and sunset. I’ve heard of people throwing candy to the locals from the balloon rides before, grateful you acknowledges the ethical implications of it. Loved your post though, and dying to see Anhkor Wat for myself! Wow that’s incredible, all those people trying to get the best photo spot! I’m definitely a sunset girl, but every now and then I do love a good sunrise. Wow, that sunrise crowd is just crazy! I’d love to see this, but I don’t know if fighting with all those people would be worth it. My friend was just there for sunrise and her photos are just as breathtaking! 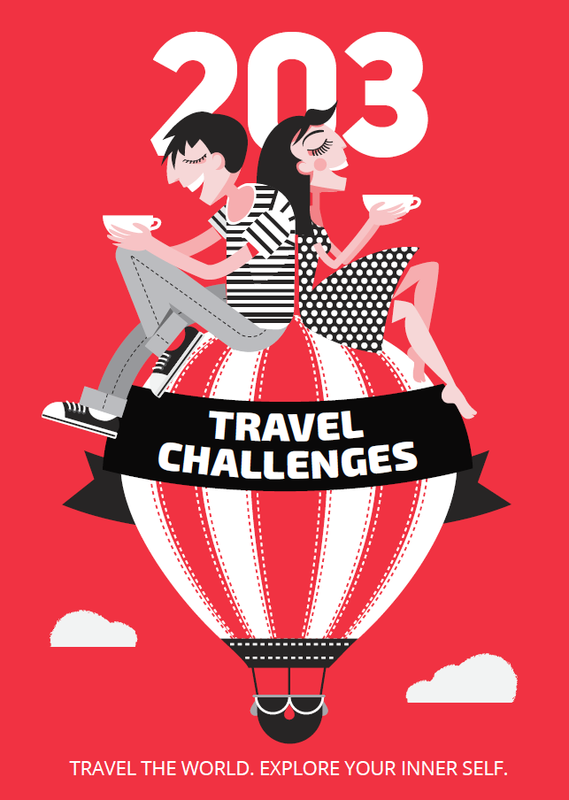 This is one destination I hope to visit soon. And with the huge time difference from where I am, sunrise may actually happen! Beautiful photos that truly capture the magic, thanks for sharing! On my visit I only saw the sunrise, and you’re right about the crowds for sure! We stuck to the left side pond for that reason too and ended up right at the front. I’d love to go back and see sunset as it seems like a completely different perspective on an equally special moment! Interesting post – I really loved seeing it at Sunrise especially as it set us up for a busy day of sightseeing. I’ll be sure to squeeze in a sunset if I return!